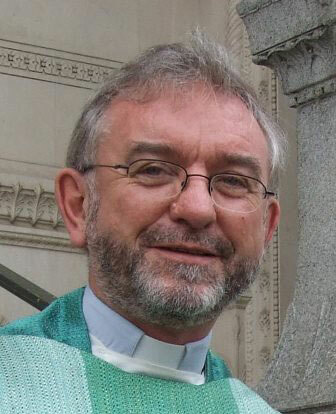 The Vatican Information Service has announced the appointment of Bishop Kieran O’Reilly SMA of Killaloe diocese to succeed the Most Rev Dermot Clifford as Archbishop of Cashel & Emly. Bishop O’Reilly was born in Cork on 8 August 1952 to Seán and Theresa O’Reilly. Educated at Scoil Chríost Rí and Coláiste Chríost Rí, he entered the Society of African Missions in Wilton, Cork in 1970. The Archbishop-elect was ordained for the Society on 17 June 1978 and he served in Liberia for two years before studying for a licentiate in Sacred Scripture at the Pontifical Biblical Institute in Rome. From 1984 to 1989 Bishop Kieran lectured in Scripture at the Major Seminary of SS. Peter and Paul, in Ibadan, Nigeria. From 1989-2010 he served on the Irish and General Councils of the Society of African Missions. In May 2010, during his second term as SMA Superior General, he was appointed, by Pope Benedict XVI, as Bishop of Killaloe. He is currently the Episcopal Secretary to the Irish Episcopal Conference. He is also the Chair of the Episcopal Council for Missions and a member of the following Councils: Catechetics, Communications, Research & Development as well as the Episcopal Commission for Social Issues and International Affairs. 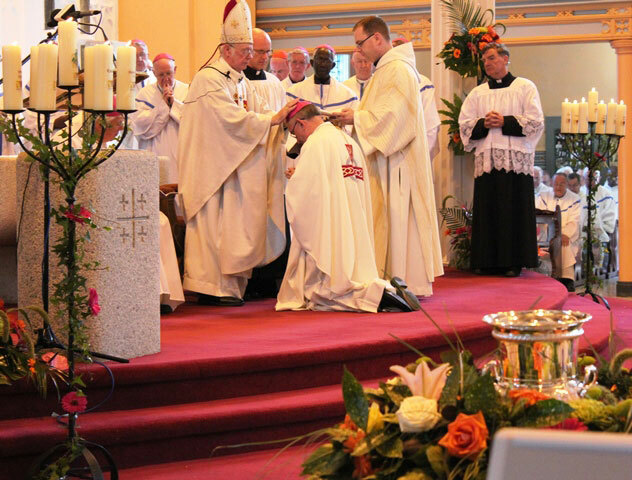 The ordination of Fr Kieran O’Reilly SMA as bishop of Killaloe by the man he now succeeds as Archbishop of Cashel, Most Rev Dermot Clifford on 29 August 2010. As SMA Superior General [2001 – 2010] and as bishop of Killaloe, he attended three Synods of Bishops in Rome: Synod on the Word of God in the Life and Mission of the Church , Second Special Assembly for Africa  and the Synod on the New Evangelization for the transmission of the Christian faith . Bishop Kieran is a member of the Vatican Congregation for Institutes of Consecrated Life and Societies of Apostolic Life. The other dioceses in the Province are: Cloyne, Cork and Ross, Kerry, Killaloe, Limerick, Waterford and Lismore. Kilfenora, though administered by the Bishop of Galway [Tuam Province] is also part of the Province of Cashel and Emly. Fr Michael McCabe, SMA Provincial Leader in Ireland, congratulated Bishop Kieran and assured him of the prayers of the members and SMA supporters throughout the country. Read Fr McCabe’s statement. Bishop Kieran will be installed as Archbishop of Cashel and Emly on a date yet to be announced. Statement of Bishop O’Reilly on his appointment [courtesy of the Diocese of Killaloe website]. The Archdiocese of Cashel & Emly and the Archdiocese of Armagh are the original Irish Ecclesiastical Provinces, dating back to a request in the early 12th century by Saint Malachy. Dublin and Tuam were established later .